Are you using video in your marketing? It’s pretty mesmerizing and effective if done right. And despite what you might think, does not require a big budget. If you are using video, that’s great. Have you ever wanted to track exactly who is watching it so you could follow up? Well, I found out how to do this without having a subscription to a software platform such as a Hubspot which might not be in your budget. The answer is Wistia and Mailchimp, both of which can be free with premium options depending on the size of your database and needs. In a recent client project, we had just released a product upgrade and hoped to convert a segment of our free audience to premium because of this new feature. To do so, we created a screencast video specific to this upgrade and how it will help our freemium members (if they upgrade, obviously). But we wanted to be able to see who watched how much of it and when so the sales team could follow up appropriately. 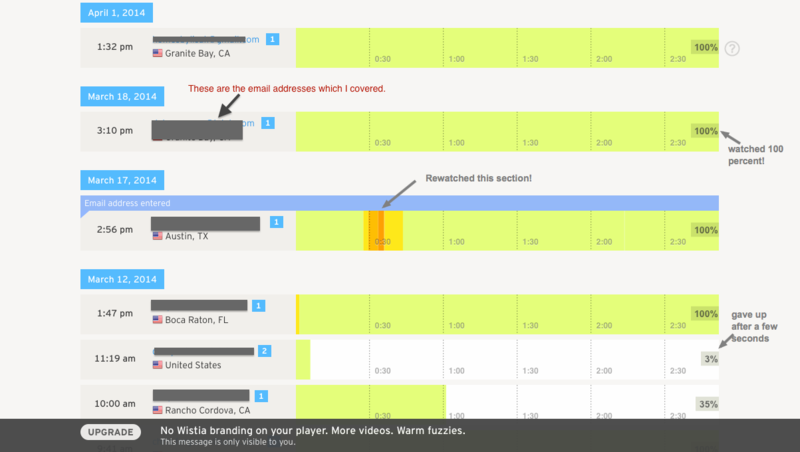 To reiterate: We had a loyal audience already using the product and an email database. 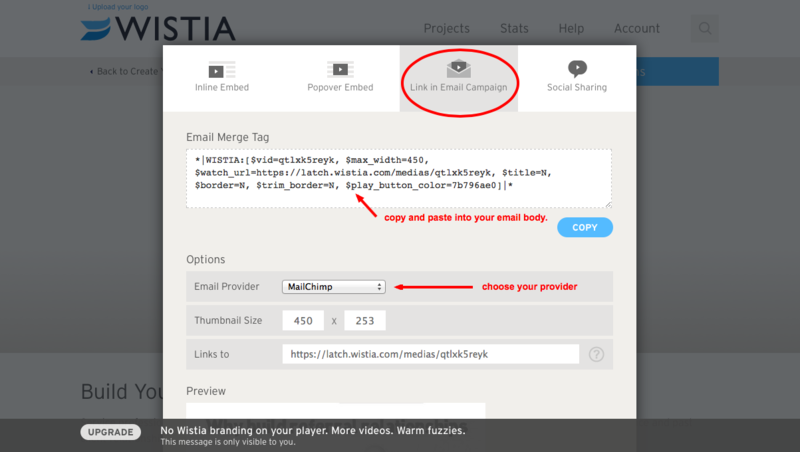 Upload the video to Wistia (a video hosting platform like YouTube or Vimeo). 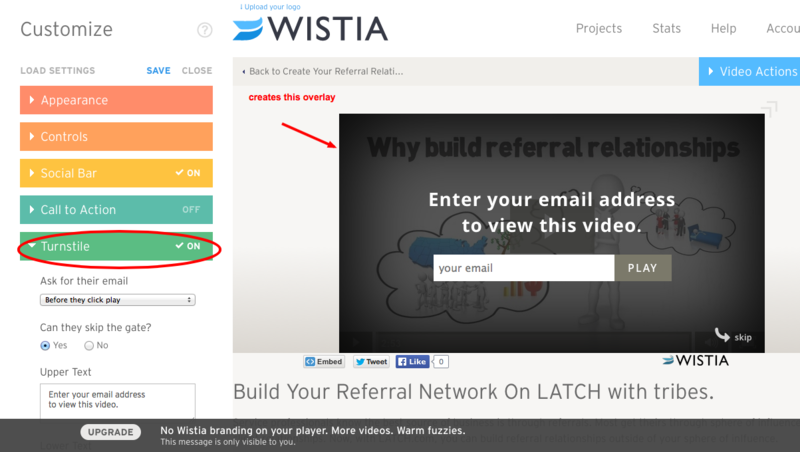 Go to “actions” and embed the video in email. Copy and paste the merge tag code into your email. Send out email and wait for the views. If you don’t have an email list and you want to direct people to your video via social and other channels, you can create a “turnstile” that asks for email address before or after they watch the video. Click on customize, create a turnstile and it adds an overlay to enter email address to watch. Some people won’t want to provide their email address so keep this in mind as it pertains to the goal of your particular piece of content. If you want your video to get out there and get lots of views, this isn’t a good idea. The fewer gateways you create to watching the video, the more views you’ll get and the more organic search you’ll receive. This type of video tracking works for your audience that is closer to the “ready to buy” phase. You already have their email address or, in the second case, they are willing to provide their email to see what you have created for them. The content is specific to converting buyers and answering their final questions. 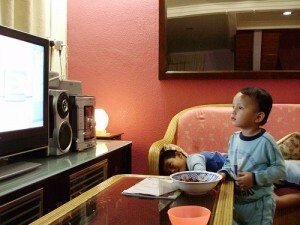 Your other video content might be hosted on YouTube, and very accessible to the public in order to get more eyeballs. Always be thinking of the goal of your particular piece of content and where it falls in your prospects’ decision path to do business with you. 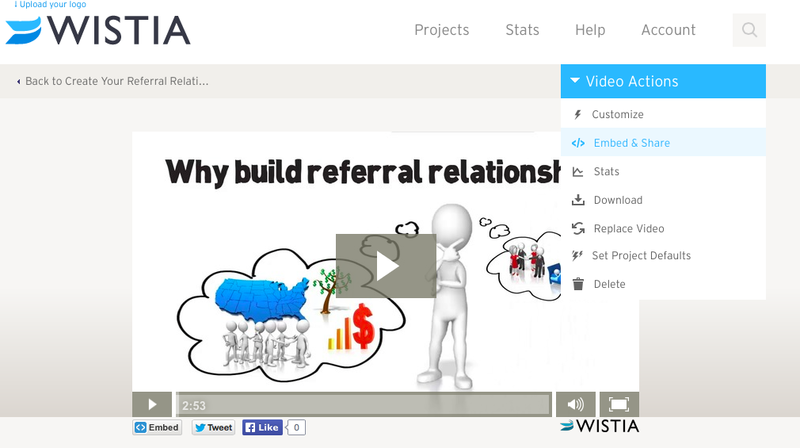 Wistia is free for up to three videos and then starts at $25/month and up for plans. Mailchimp starts at free for up to 2,000 subscribers (12,000 emails/month) and plans start at $10/month and up depending on your database and distribution needs. I’m a MailChimp fan girl.